http://tryscala.com had a good run from 2010 - 2017. There are other good options now, https://scalafiddle.io comes to mind, so I'm retiring it. 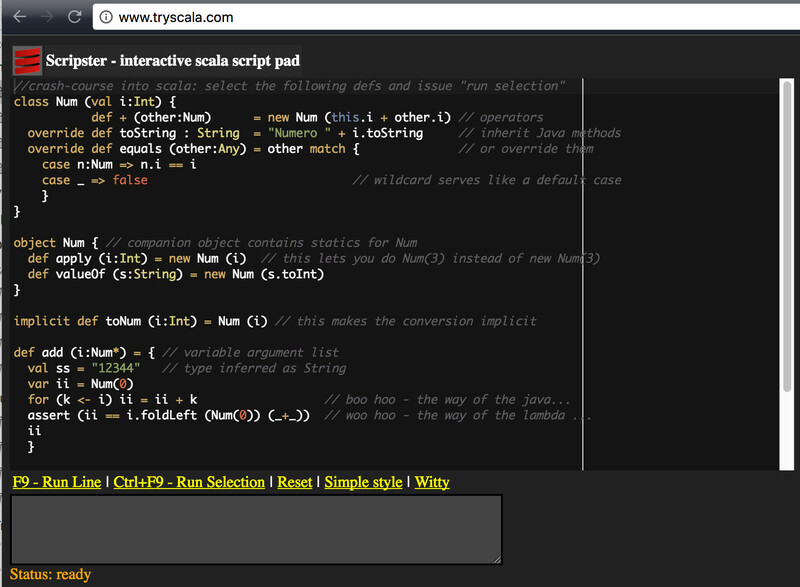 It was an online scripting/fiddle tool for scala, with content assist, short URL fiddles, forking etc. Many of its features morphed into DieselApps. Viewed 12696 times ( | Print ) this page.